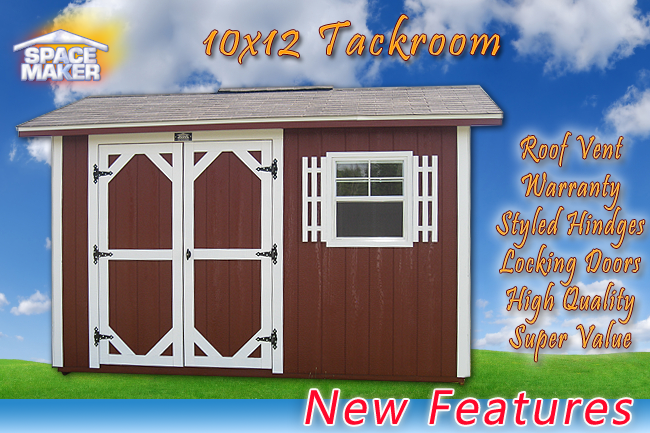 The newly up-to-date yet traditional style 10x12 red tack room is really a perfect addition to your traditional style neighborhood, with it's naturally traditional color reminiscent of the traditional days. 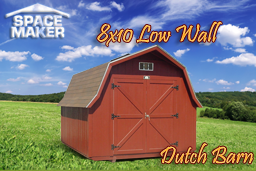 It's small enough to not hinder the landscape designs while protecting the equipment you have to take out and take care of your farming and is large enough for over anyone to come out and use his or her riding and training equipment at the same time. The red color is going to be well-preserved for a long time to come, since the Western Fir siding utilizes a baked on paint primer to extend the life of the original paint. Order a custom color to complement your needs. This small addition to your backyard will help to better organize your lifestyle, giving you the correct place to store all of your equine equipment. Of course, you can use your building for other purposes, for example to keep your wood working machinery, but you'll find it very beneficial in its original purpose. The wooden floors is actually reinforced for easy moving the building should the need arise. 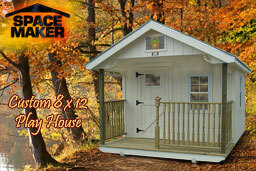 Customizable options include placement of shutters and high quality windows, choice of shelving, and even doorway sizes. Because of so many different factors towards the care and cleansing of your horses along with other agriculture purposes, it's important to have organization. You can't depend on discovering what you need in the event that all of your equipment is piled together in one small shed. Consequently, adding the tack room for all of the horseback riding gear can help provide order to your life. 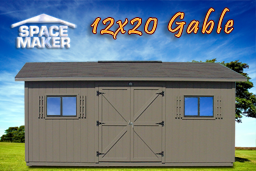 You also don't have considerable time in your schedule if you have horses and other livestock to take proper care of, therefore you don't want to take your time painting a outdoor storage shed. That's where BUSINESS buildings come in handy, along with siding that's already painted. Even if you're using the building for something like storage for your woodworking machinery, you won't want to have too much hassle with installation and upkeep. 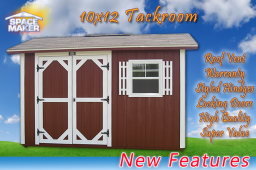 Many people don't need a huge area for riding equipment storage space and don't need a building within their yard that occupies all of the space or even dwarfs their home, and the 10x12 red tack room is really a perfect solution that looks excellent in a traditional farming landscape that will provide users with what they need and never burden the horizon.